When Ella's sister decides to reunite with their estranged mother, Ella goes along for the ride - its always been the two Preston girls against the world. But Sanctuary Island , a tiny refuge for wild horses tucked off the Atlantic coast, is more inviting than she ever imagined. And it holds more than one last opportunity to heal their broken family - if Ella can open her carefully guarded heart, there is always the chance for new beginnings. Grady Wilkes is a handyman who can fix anything... except the scars of his own past. 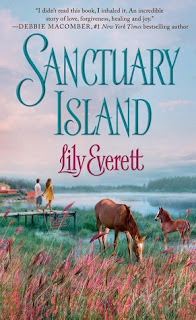 When he accepts the task of showing Ella the simple beauties of the island that healed him, he discovers a deep sense of comfort that he thought he'd lost. 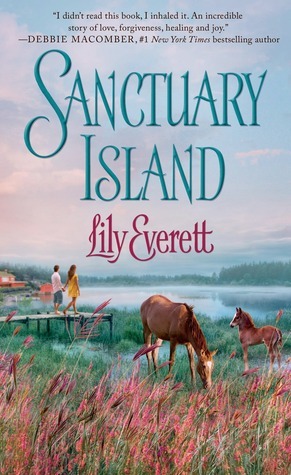 But now he must convince the woman who never intended to stay on Sanctuary Island anything is possible - forgiving past mistakes, rediscovering the simple joys of life, and maybe even falling in love. This is a story that is well written and enjoyable to read. It centres on the visit of Ella and her sister Merry, to there mother Jo Ellen, after many years of being separated. Ella is rather closed towards her mother, while Merry is more open and desiring of reconciling with her. There father had taken the two girls away from their mother who had been an alcoholic, when they were younger. As a result Ella has had many years of therapy, yet still is unable to forgive and be open to a new future. I have to say I did not warm that much to Ella, even by the end of the book. I much preferred Jo Ellen, the mother and Merry her sister. I liked the way Merry stood up to Ella, at one point, it was needed! They seemed more human, open, loving people. Yes Ella had many issues resulting from being the child of an alcoholic and then taking on a 'parent' like responsibility for her sister Merry, yet with years of therapy she still has many 'sharp edges' to her personality. With Grady, I felt she could easily have let him know of the actual plans she had for helping her mother out, but she withheld them, which of course led to misunderstandings and the climax in the book. I look forward to Merry and Ben's story (the vet on the island) I took to this couple straight away. I also hope that Jo Ellen and Harrison ( Jo's love interest) will develop to a satisfactory conclusion. 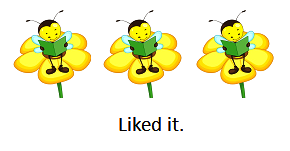 When reading a book have you ever not really liked the heroine in the book?